Edwardian Diamond and Pearl Bar Brooch. 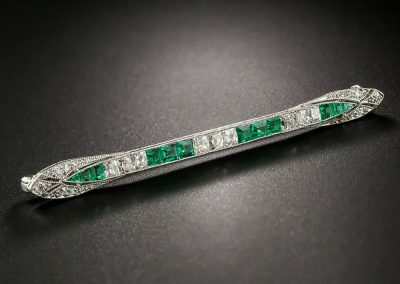 A bar brooch is any elongated horizontal brooch. Victorian bar brooches were designed as a simple bar with a central motif or plaque. Popular during the Edwardian period, these brooches were often a line of calibré cut colored stones or diamonds and pearls in a millegrained setting. 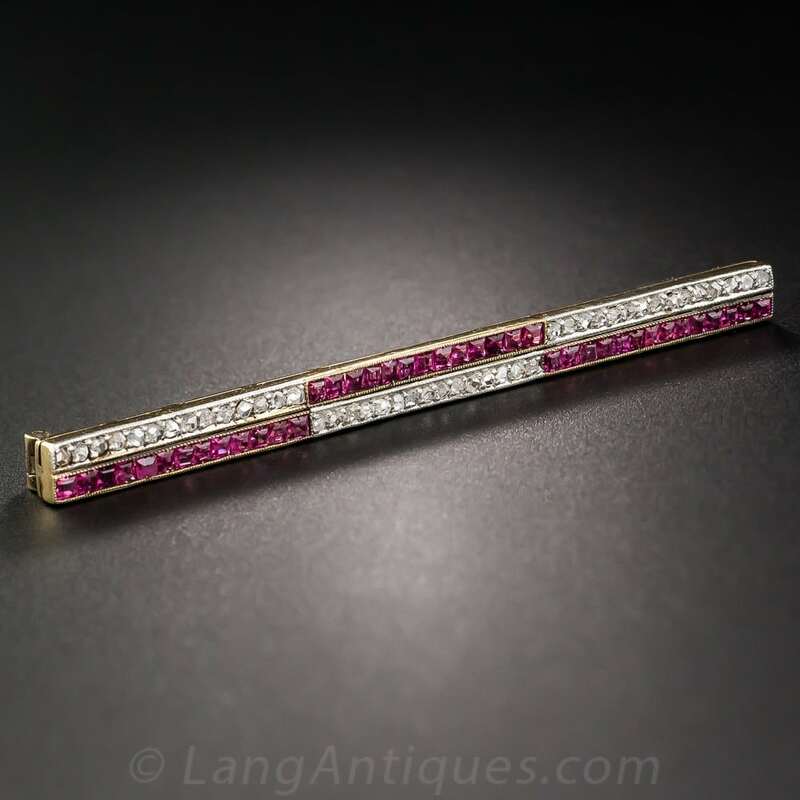 Art Deco bar brooches followed the Edwardian style with a more geometric design. 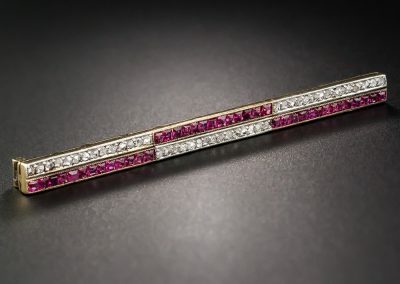 Edwardian Geometric Diamond and Ruby Bar Brooch – Early Predictor of Art Deco Design. 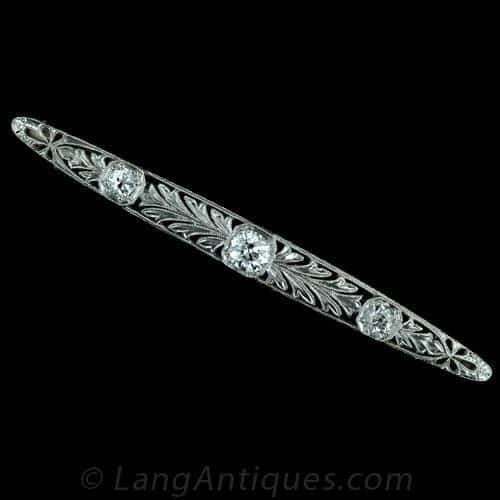 Edwardian Foliate Motif Diamond Bar Brooch. 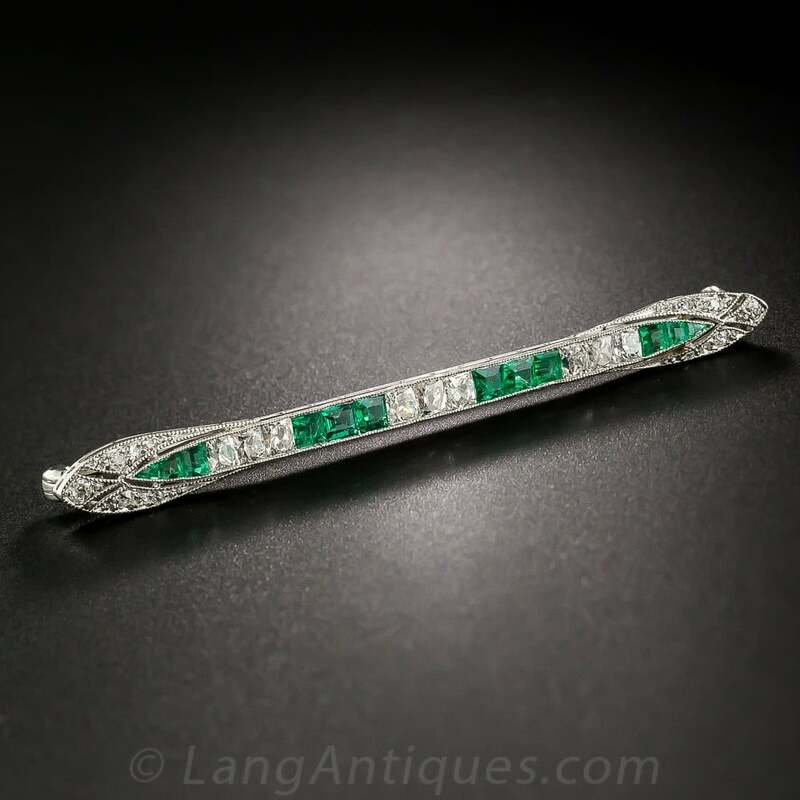 Art Deco French-Cut Diamond and Emerald Bar Brooch.